Although this problem is exceptionally uncommon with today’s tankless hot water systems, it does occasionally occur. If your tankless water heater is dripping water, it should be serviced or replaced as soon as possible. Water heaters can leak for a wide variety of reasons, and most leaks are the result of a loose valve or fitting rather than the heater itself. 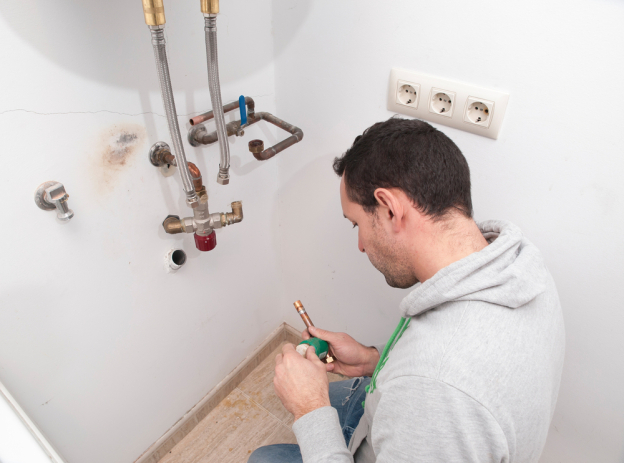 If your water heater even begins to leak, contact an experienced plumber immediately to have it repaired. When maintained and used properly, tankless water heaters can last for as long as 20 years. However, water heating systems that are heavily used may stop working near 100% efficiency earlier, resulting in water that isn’t adequately heated. Water that’s warm but not entirely hot is often caused by excessive water pressure that’s beyond the abilities of your tankless heater. Try turning down the pressure as you shower; if this doesn’t work, contact a plumber to do tankless water heater repair. Both your washing machine and your dishwasher will need access to hot water. As your tank gets older – or if it’s relatively new but not functioning correctly – it may not be able to deliver water at the temperature or pressure your appliances need. One solution to this is to close your heater’s hot and cold valves, then adjust both of them until the water is at your desired temperature. If your tankless water heater is incapable of delivering the hot water your appliances need, call your local plumber. In some cases, your tankless water heater may stop working entirely. This situation is obvious, as the water from your shower or faucet will be completely cold and not at all heated by the tankless heating system. There are a variety of reasons for this, many of which are related to your electrical supply. Check that the heater’s standby light is lit – if it isn’t, you have an electricity problem, possibly due to a system without sufficient amp capacity. Sometimes, your tankless water heater may work perfectly at one moment but fail to even deliver warm water the next. This is also often caused by electricity issues that cause your heater to switch off due to your system’s amp capacity. It can also be caused by a defective or damaged tankless water heater that requires maintenance or replacement. If your water heating system seems to refuse to work on certain occasions, contact your plumber to have it repaired or replaced.